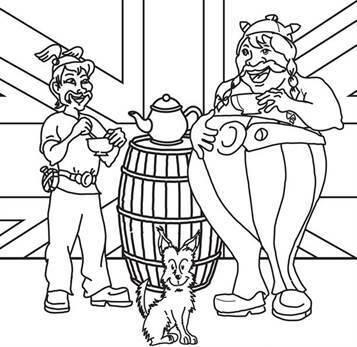 Coloring pages of Asterix and Obelix God Save Brittania. Julius Caesar lands in Britain, where a small village still holds out bravely against the Roman legions. 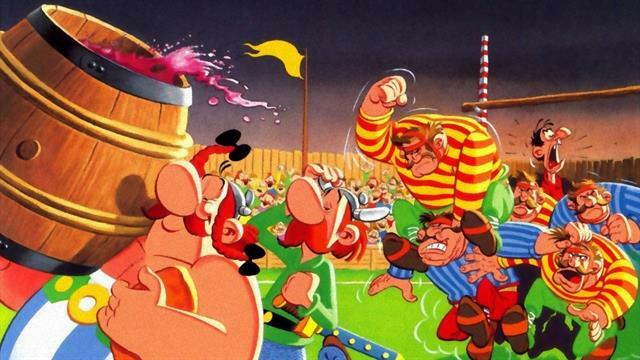 But the situation becomes critical and the villagers have not got long to live; that's when Jolitorax, one of the villagers seeks volunteers to go seek help from his second-cousin Asterix the Gaul and bring back a barrel of "magic potion" from the Breton village of the indomitable heroes.